CLIFF ROAD! PRIVATE, OVERSIZED LOT WITH POTENTIAL ROOF WALK VIEWS! Main house and cottage, pool and garage are permitted. And, with over 5,000 sq. ft. of ground cover available, you can create a wonderful compound. Nearby homes in the $6,500,000 plus price range. Unique setting not offered for sale in over 40 years. Town water available at Cliff Road. Newly brush cut. No MESA, ConCom or nitrogen loading concerns. Adjacent property also available. 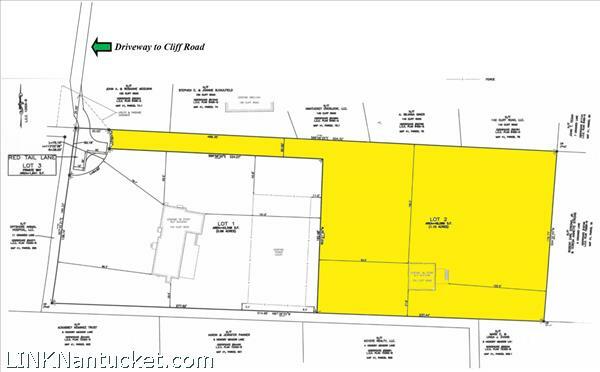 Please send me more available listings similar to 154 Cliff Road, Cliff. Thank you!